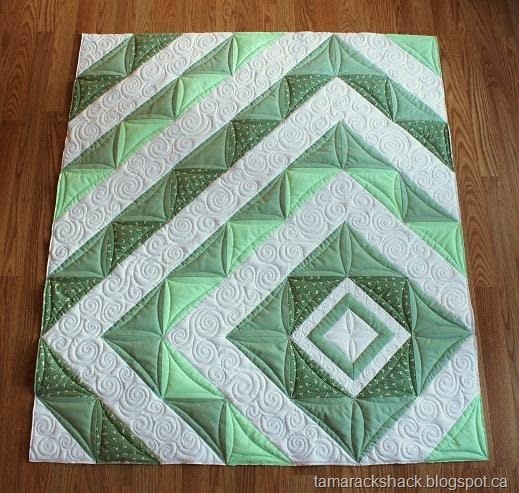 This HST Baby Quilt Quilted by Kathy Schwartz of TamarackShack, The Tutorial by Rikka J of Ricochet & Away, it's available for free. "I didn't use a pattern for this quilt. I picked out some coordinating fabrics from my stash, made some HSTs, fooled around with different configurations, and then sewed it all together."